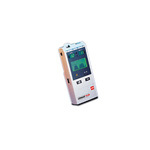 Whether it’s for an emergency situation, bedside monitoring or routine spot-check, the NPB-70 handheld capnograph delivers accurate etCO2 values. 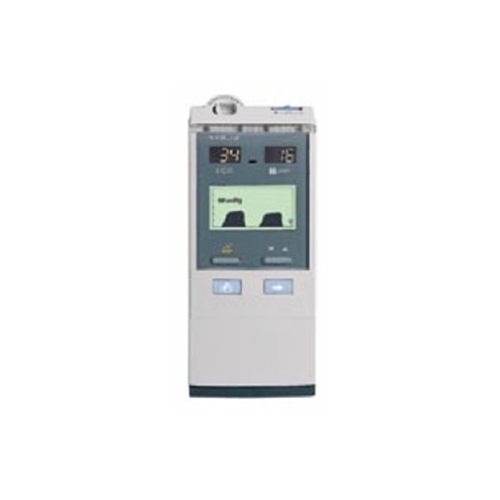 The NPB-70 unites end-tidal CO2 monitoring - including waveform display - with proven Nellcor Puritan Bennett pulse oximetry in a portable, handheld monitor. 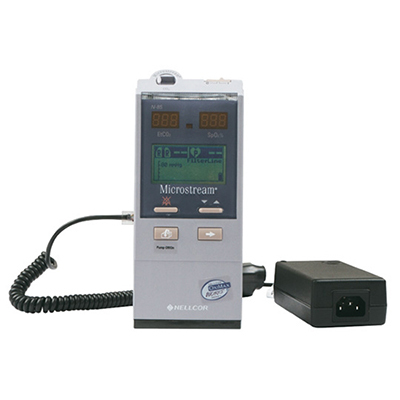 It gives you the sophistication of a bedside monitor and the convenience of a handheld. For use on intubated and non-intubated patients. The low sample flow rate of 50 mil/min allows monitoring of the widest range of patients, from neonates to adults.